Make your own Desk Calendars. 10 Calendars starting Rs 2000. Keep proper track of your daily activities with the desk calendars that can be personalized according to your wish. Desk calendars are convenient as you can simply mark the date on them. Since desk calendars are in our constant sight, it is important that they be catchy and aesthetically appealing. You can make your own desk calendars to present your clients with a gift that is unique. A desk calendar should be more than just dates, it should be a reminder to your clients that they are an important part of the company. You can now add a dash of style to your clients’ work room or personal room with these personalized 6” x 9” desk calendars. With PrintStop, you can make your own desk calendar which can be personalized to create a custom calendar for your home, office or a gift for your clients. You can harness your own creativity or select from our wide range of templates, and print the desk calendar online. You can also promote your company by using these desk calendars as a corporate business gift which will not only be special to your clients, but will also aid in brand recall and client retention. Having one fixed place to keep all your past, present and future endeavours can really help you get going and give a bird's-eye-view to all your tasks. Every employee needs a calendar, specially a desk calendar to keep a check on his dates and assignments, just to make sure he doesn't miss out on deadlines. But are they just used for keeping an eye on assignments? A big no no! There are various marketing tools to strategise your business and grow your brand. You need to market your brand and products, as that will help you generate sales. Desk Calendars are an effective marketing tool for your brand. 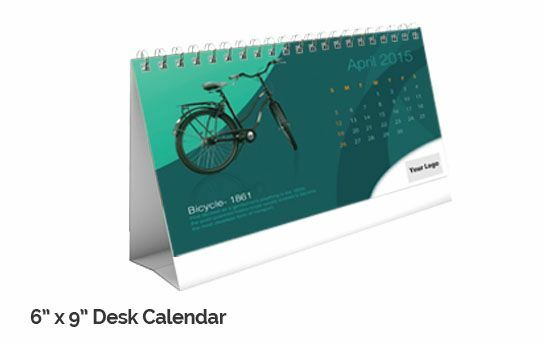 Also known as table calendars, these desk calendars are used by your customers everyday. In this way, they come across your brand and company name quite often and remember your products and services. This strategy, most of the times, results in brand recognition and client retention. But how to do that – make your brand visible to customers on their calendars? Customisation is the answer. Customised desk calendars get you noticed. And when you talk about customisation, you're indirectly talking about PrintStop. Our personalised desk calendars ordered online are in great demand. Designed with intricate layouts and descriptive fonts, our table calendars are quite colourful visually and intriguing in nature. 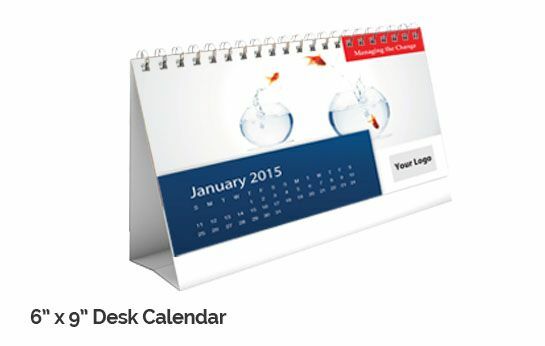 Desk calendars can be great promotional gifts. Gift them to your employees and your customers to help them have an organised day and let them remember you everyday. The fact here is that you give them your desk calendar in the first month and they remember your brand throughout the year. All they need is very little space. Our personalised table calendars are inexpensive and even get delivered to your doorstep! 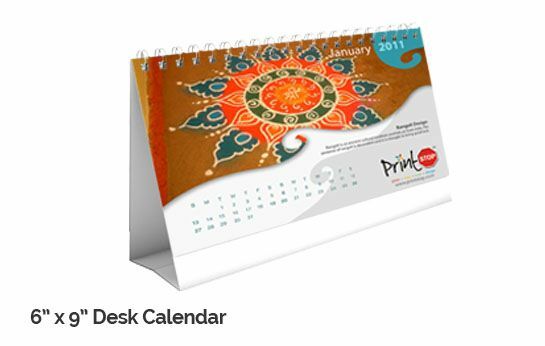 PrintStop's desk calendar designs are custom made, by our in-house design team Pehchaan. All you need to do is upload your own design (if you already have one) or get it custom designed by us. We also design logos for companies who don't have one.